He was trying to swing back and forth on a bar as far as he could, and he didn’t “stick” the landing. He landed on his wrist instead of his feet. 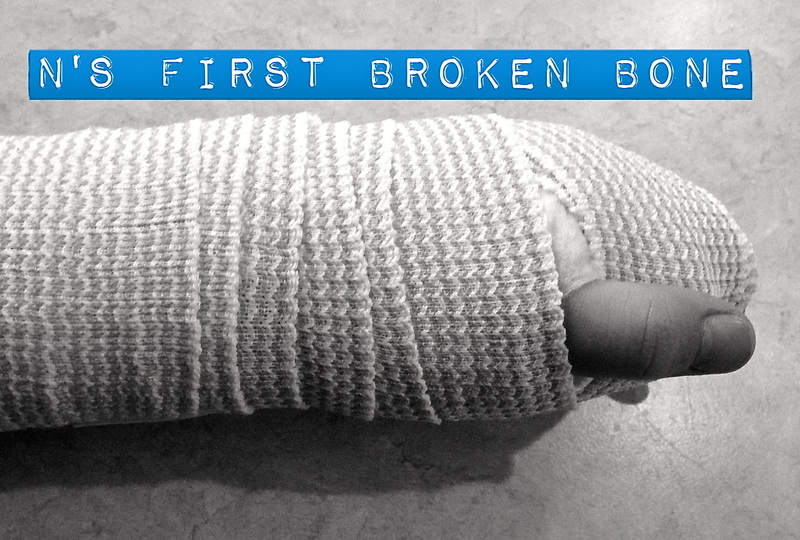 Have you or your kiddos ever broken a bone? On a brighter note, one of N’s art pieces is featured on k’ARTwheels Art Gallery. It is now displayed on his ArtWall in our home which you can read more about here. @highheelgourmet, thank you for your well wishes. At least the cast will be off by summer break. Ask the doctor for bone stimulator. I broke my arm a while back but it was the clean break and took so long to hear so the doctor gave me some device called “bone stimulator” to wear for a few hours everyday! It works. Oh no! How is N feeling now? None of us has ever broken a bone, but it has got to hurt a lot. I hope he heals up quickly! @kartwheels, he is feeling great and did wonderfully at school today. I broke my wrist as a child, as well, but not at such a young age. Thank you for your comment and your well wishes. Oh no! Hope he’s ok! He is doing great. He gets his cast tomorrow. Only has to wear it for 4 weeks, so it will be off just in time for summer break. Thank you for your well wishes. Oh no! Well at least it wasn’t something super serious…and now he has a story to tell. Kids bounce back so quickly…here’s to a speedy recovery! @blairsaysblog, I agree and he seems to be quite proud of it at the moment. Thank you for your comment and your well wishes. aww man! poor little bubsh! our little dudes are super active climbers and jumpers and flippers so were bound to have one of those soon enough. in fact im surprised there hasnt been one yet with all the falling off of cars, twisting ankles from tree climbing and beyond. hope he gets well soon! Sorry to hear about the broken bone. I hope it was not his drawing hand? 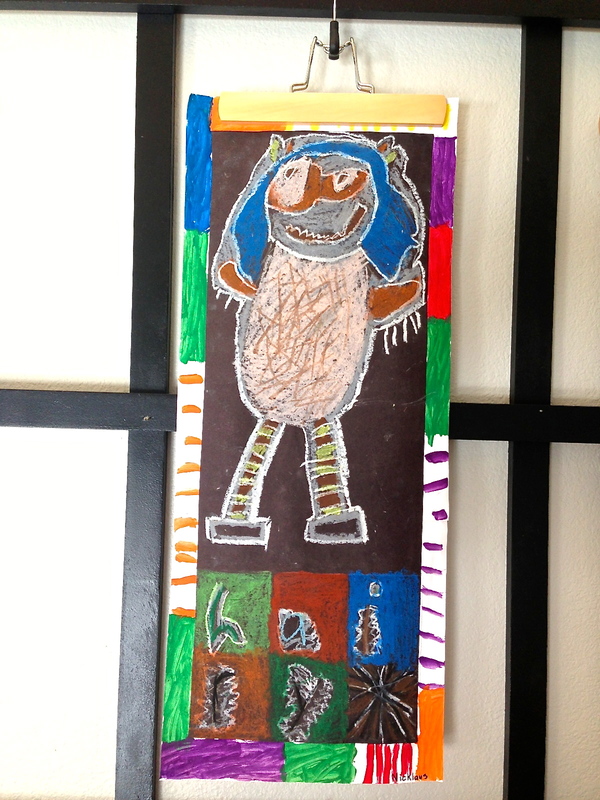 N’s drawings are lovely, I especially like the creative way you have found to display his works! @allyson, thank you. Fortunately it was not his dominant hand. That ‘like’ was for the art, not the injury! Yes, hating hitting “like” on this post…but that art is way cool! @freerangecow, thank you. I will let N know that you enjoy his art. He will certainly smile from ear to ear.